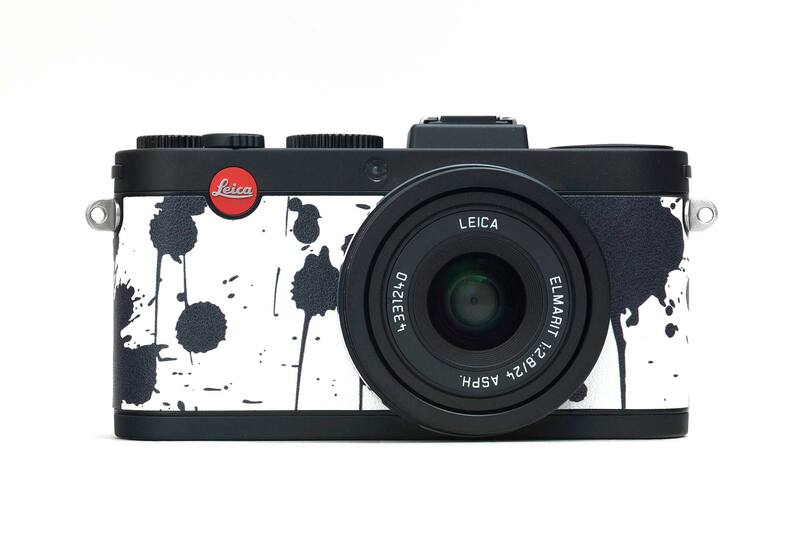 Leica Camera and Gagosian Gallery introduce the new limited edition Leica X2 Gagosian Edition. The all-metal body sports expressionist black paint splotches on the camera’s white leather trim. Larry Gagosian (classmate of Howard Preston at UCLA) established his gallery in 1980 in Los Angeles. Since then, Gagosian Galleries have presented works of the world’s leading contemporary artists in their 12 galleries worldwide. Handmade at Leica’s headquarters in Solms, Germany, the compact X2 camera has an APS-C-format CMOS 16.5 megapixel sensor, and a fixed Elmarit 24 mm f/2.8 ASPH lens. Manual and automatic controls let you capture your decisive moment quickly. In addition to the Special Edition X2, the Gagosian Shop at 976 Madison Avenue (at 77 Street) in New York will display Leica X Vario, X2, X2 A La Carte, V-LUX 4, D-LUX 6 and Leica C cameras and accessories.